First aired: Winter 2014, 13 episodes. 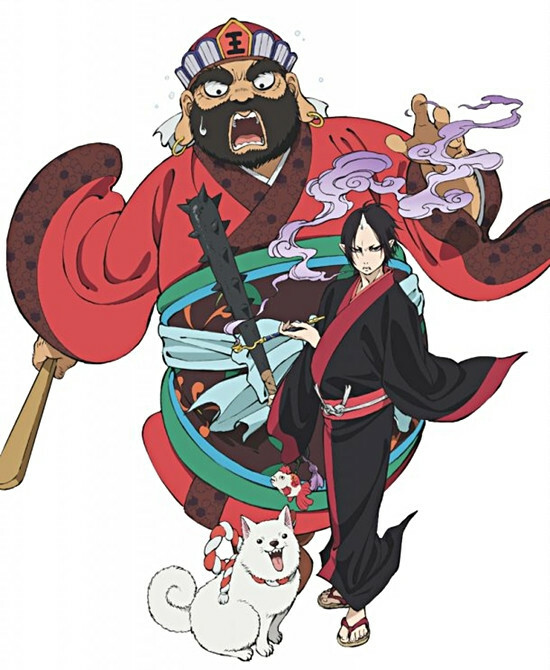 Summary: The dark comedy revolves around Hoozuki, who is the aide to the king of Hell, Great King Yama. Calm and sadistic, Hoozuki tries to resolve the problems that often occur in Hell. The series is episodic, meaning there is not a continuing storyline. 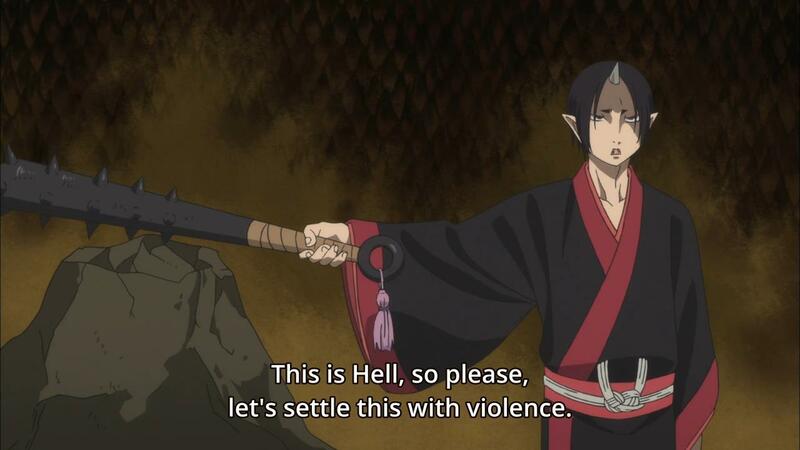 Each episode is split into two different problems occurring in Hell and how Hoozuki resolves the problems in his unique way. Hoozuki no Reitetsu uses a lot of Japanese mythology and history in its episodes. For example, there are many different levels of Hell for people to be sent to, based on their wrongdoings in life. There is an animal cruelty hell, where people are sent that abused animals in life. In this hell, the animals abuse the people relentlessly. The whole Hell system in the anime runs like the normal world does, with demons taking jobs and being able to travel to the different sub-hells. They even put on festivals and Satan from European Hell comes for a visit. You might enjoy this if: You want to watch slice-of-life in Hell. You might not like it if: You want character development and a continuing storyline. Note to the Viewer: Be prepared to pause the anime if you are not familiar with Japanese mythology. Subtitles will pop up with an explanation of what is happening, but they do not stay up for long. EXPANDED REVIEW FROM SLC ANIME: WARNING, MAY CONTAIN MINOR SPOILERS! SLC Anime reviewed Hoozuki no Reitetsu as their anime of the month and this is what they thought of it. We will start with the positive parts of the show. The focus on Japanese folklore was appreciated by the group. There were a lot of references to folklore in every episode, which were mainly Japanese, with a few Western references peppered in. The group liked the animation style of the show as well. The characters were well done, each having a unique look and personality. The only criticism of the characters look was that Hoozuki’s single horn in the middle of his forehead was annoying. One negative review of the anime that was shared by several people was that the episodic nature of the show did not engage the viewer. The episodes did not end and make you insist on watching another episode. The lack of an involved storyline made the show difficult to finish for some group members. There were mixed reviews regarding some aspects of the anime. The humor was enjoyed by everybody, but some group members enjoyed it more than others. Some people thought that the jokes took too long to set up, or that the punchline of the joke ran flat. Other people thought the humor was spot on, being very dry. This entry was posted in Anime and tagged 2014, 42, anime, comedy, fantasy, fragglepuss, hell, hoozuki, hozuki, reitetsu, review, slc, supernatural, winter. Bookmark the permalink.